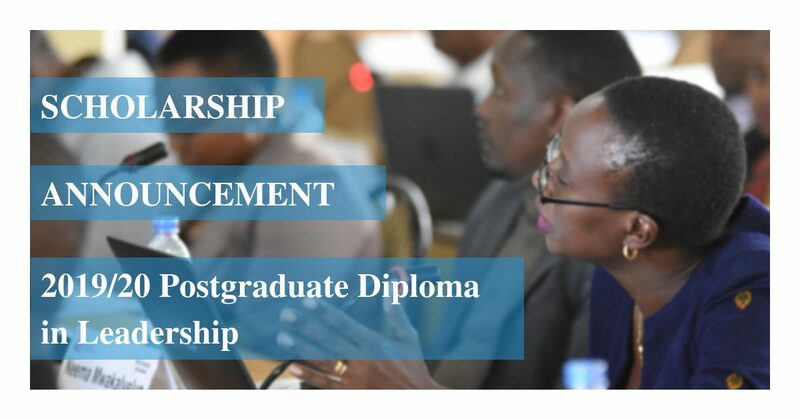 UONGOZI Institute Postgraduate Diploma in Leadership Scholarships 2019/2020 for Senior Leaders in the Public, Private and Civil Society Organisations. Application Deadline: Friday, 8th February, 2019 at 5:00pm. UONGOZI Institute invites applications for a one-year Executive Programme (Postgraduate Diploma in Leadership) from Senior Leaders in the Public, Private and Civil Society Organisations. The Programme, undertaken in collaboration with Aalto University Executive Education of Finland, aims to develop leadership competencies in three areas; Making Strategic Choices, Leading People and Other Resources and Excelling in Personal Leadership Qualities. This is the third cohort to undertake this programme. Facilitated by world-class professors and experts in leadership from around the world, the Programme is designed to encourage participants to challenge their thinking as they broaden their competencies in visioning, planning and inspiring others through advanced strategic communication. It will motivate the participants to become better designers and innovators of effective structures and systems for better results. Each module runs for between 2-3 days of in-class workshops and online individual or group assignments. Completion of the Programme requires attending all modules and completing several written pre- and post-assignments and four graded exams. On successful completion, candidates will earn 18 European credits; all of which are eligible to be transferred towards the Aalto Executive MBA or Aalto MBA Program. *A limited number of full scholarships will be available for Government employees. An official recommendation and commitment letter from the employer to confirm the participant’s commitment and employer’s full support to participate in the Programme for one year. Venue: Dar es Salaam and Arusha (Specific location will be determined for each module). Deadline for Receiving Applications: Friday, 8th February, 2019 at 5:00pm.